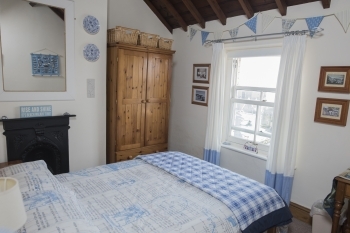 Gwril View is a delightful property, tucked away from the main thoroughfare of the busy Barmouth seaside town. It offers quality accommodation for families and walkers. 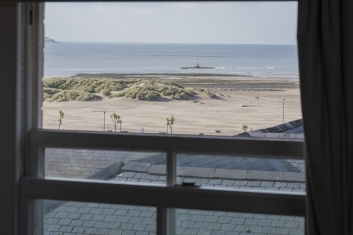 Located in the the old part of Barmouth known as ‘The Rock’, Gwril View has fantastic sea views from the first floor and is ideally situated for the beach, harbour, shops and restaurants. It lies at the foot of Dinas Oleu, the craggy hillside above Barmouth which was the first land acquired by the National Trust. Barmouth is surrounded by Snowdonia National Park and on the doorstep is the magnificent Mawddach Estuary and the Wales Coastal Path. 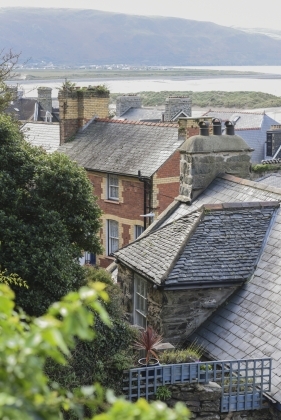 Harlech, Dolgelley and Portmeirion are within easy reach by car. The area of 'The Rock' has been described as “so quaint is the position of these dwellings that the inhabitants may be seen quietly looking down their neighbours’ chimneys”. Full gas central heating, gas oven and hob, microwave, fridge, freezer, iron, ironing board, hair dryer, 32” LED TV and DVD player in lounge, LCD TV in double bedroom, LCD TV and DVD in family bedroom, Bose cd/radio player, family board games and a large selection of books and DVDs for both adults and children. Bed linen, bathroom towels and tea towels all included. All fuel charges are included. Stair gate, travel cot and high chair all available without charge. Please note that Gwril View is situated on a very steep incline so it has great views of the beach and Cardigan Bay from its first floor. There is no off-road parking but cars can be taken to within 80 yds of the property for unloading. 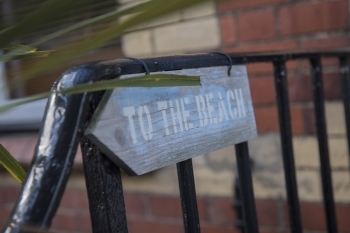 A permit for nearby parking (approx 5 mins walk) is provided for guests without charge. but dirty walking boots welcome!